Related links to "Northless - Valley Of Lead 10inch"
LIMITED TO 300 COPIES!!!! Northless is a four piece band from Milwaulkee, Wisconsin who formed in 2007. Northless plays an amazing of music that incorporates elements of post metal, doom metal, and sludge within their sound. The band cites bands such as Neurosis, Khanate, Bloodlet, His Hero Is Gone, Will Haven, King Crimson, Breadwinner, Coalesce, Gorguts, Swans, Godflesh, Eyehategod, Crowbar, Soilent Green, and Drudkh as influences. 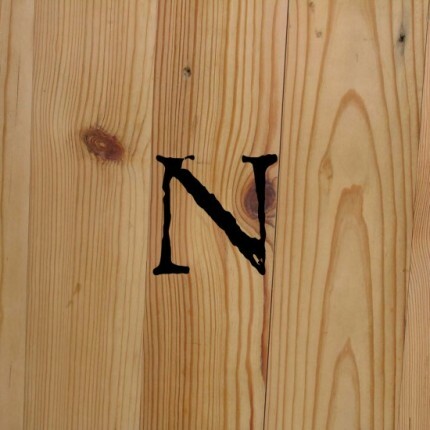 To date, Northless have released a self titled demo in 2008, a split 7" with Protestant in 2009, a 12" entitled No Quarter For The Damaged in 2009, a six song cassette entitled Leaving The Wolves in 2010, contributed a song for the Inherent Records Vol. 1 compilation, an eight song LP entitled Clandestine Abuse in 2011, and a split LP with London, UK's Lightbearer in 2012. Northless is gearing up to release their next release entitled Valley Of Lead, a three song 10" that's set to be released via Halo Of Flies in November. The Packaging for the 10" is a spectacle in it's own right and features a branded pine vault and is limited to 300 copies on green vinyl. Overall, I've been a fan of Northless since their split with Protestant in 2009 and have enjoyed watching this band evolve to the point where they've become amazing musicians and their releases will definitely appeal to fans of bands such as Thou, Black September, and Lightbearer. These three songs feature downtuned, glacially heavy, sludge filled riffing, mammoth drumming, harsh/strained vocals, and wall of noise basslines. Highly recommended! Enjoy! I apologize in advance for the sound quality. Halo Of Flies sent me an mp3 version that's low in sound and possibly unmastered. This will still tide you over until a better version is released on the web.